The name of this online casino says it all. Zodiac Casino is an online casino and gaming platform themed to represent the different zodiac signs. For so many years, zodiac signs based on the celestial constellations have been guiding people to their fortunes. That’s exactly what you can do when you play at Zodiac Casino: find your fortune. Zodiac Casino is one of the best online casinos for those who enjoy light gaming sessions and plenty of chances to win big. The site is very easy to use and your journey towards becoming the next big casino winner can start immediately. One of the best things about Zodiac Casino is its sign-up process. You can go from a complete beginner to playing your favorite online casino games in just a couple of minutes. You can sign up for an account by downloading the Microgaming-powered gaming software and completing a few simple steps. Making your initial deposit is just as easy because Zodiac Casino supports a wealth of deposit and withdrawal methods. You can use popular payment methods like credit and debit cards or rely on services like Neteller to handle your deposits and withdrawals. That’s it! Once you fund your account, you can start exploring over 400 casino games and play immediately. You can also play for free! That brings us to the next best thing about Zodiac Casino. A good online casino isn’t complete without a series of bonus offers. 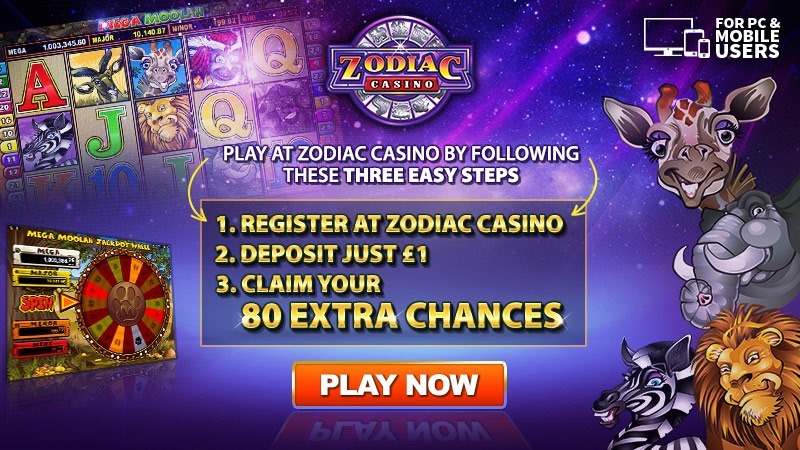 Zodiac Casino really pampers its new and existing players with many bonus offers that are designed to let you pursue big jackpots without risking your real money in the process. After signing up for an account, all you have to do is make an initial deposit of $1 to claim the 80 free spins offered by this online casino. The spins are worth £20, but that’s not the most interesting thing about the offer. Using the free spins, you can play for big jackpots and become a casino millionaire. Games like Mega Moolah now offer progressive jackpots worth millions and you can play 80 free spins to try and win those jackpots. 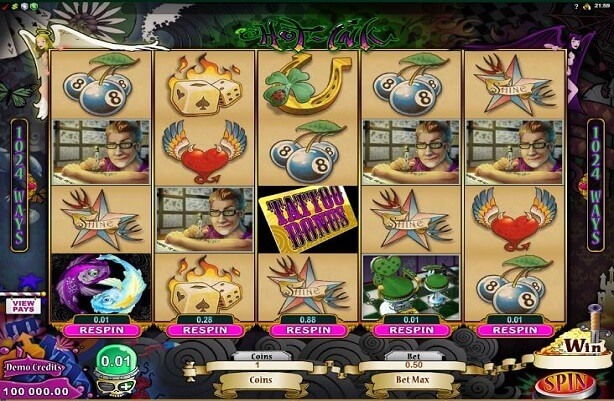 Aside from the free spins you get after making your first deposit, Zodiac Casino also offers deposit-match bonuses for your subsequent deposits. You can claim 100% deposit-match bonus on your second deposit, and 50% deposit-match bonuses all the way to your fifth deposit. That’s a total of $500 in bonuses. A set of fantastic casino games, slots variations, and side games will keep you entertained whenever you play on Zodiac Casino’s gaming platform. You’ll be surprised by how smooth and pleasant the gaming experience is; the online casino supports HD graphics, which makes everything better. Of course, you are well on your way to finding your fortune at this point. You have slots games to play, different roulette variations to try, and even themed video poker games to keep your gaming sessions exciting. Zodiac Casino is an online casino that has it all.